This Onn AM/FM 1.8" Black Digital Clock Radio is in great working condition. 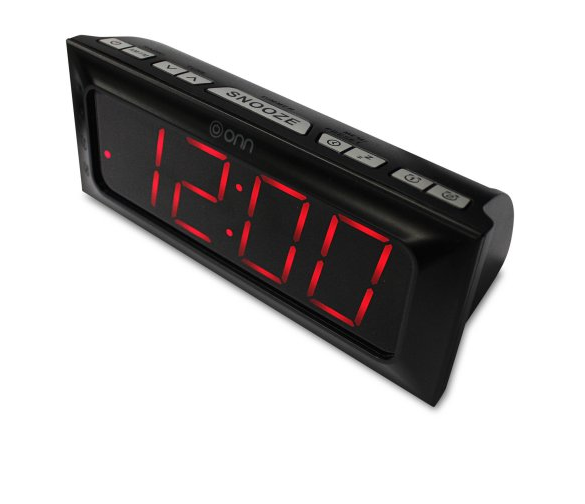 Get your favorite local tunes bedside with the ONN Digital AM/FM Clock Radio. Packing ample sound, this digital AM/FM clock radio allows you to set preset stations and easily control the volume, zoom and dimmer controls conveniently from the device's top panel. There's no need to squint or refocus to see the device's large 1.8-inch LED display, either. Of course, there's a battery backup in case of power outage.